Dr. Michele Nati is Lead Tech Analyst and Personal Data Lead at IOTA Foundation. As Lead Tech Analyst he is responsible to drive innovation in Global Trade and Supply Chains, through adoption of DLTs. He is responsible of managing technical relations with partners, establish architecture of proof of concepts, managing governance of collaborations, deriving best practices, inform standardisation activities, core technology development and contribute to identify new research opportunities. As Personal Data Lead is working with the Business Development team to define IOTA programme for innovation activities in the Personal Data realm. Before joining IOTA Foundation, Michele worked as Lead Technologist for Digital Trust at Digital Catapult. He worked on a number of projects and initiatives to increase transparency and individuals control on how personal data are collected and shared. He championed the introduction of a standardized Personal Data Receipt and corresponding provisioning and management framework, to increase transparency, track personal data sharing transactions and provide General Data Protection Regulation compliance. 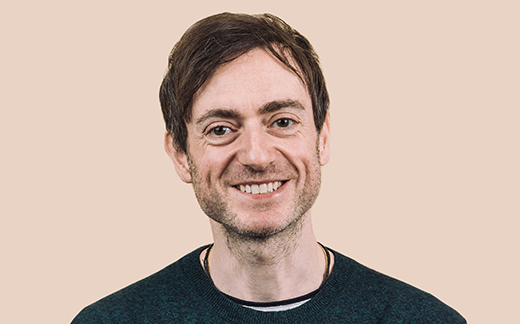 He also led the Digital Catapult research and development of blockchain and other decentralized technologies to achieve transparency and (democratic) trust, in particular in the creative industry and manufacturing sectors. As part of the EU H2020 Synchronicity project, he contributed to define the role of blockchain to create decentralized, interoperable and trusted data marketplaces for smart cities. For the EU H2020 Content Personalization Network he investigated the role of decentralized technologies to support more transparent use of personal data for better personalised news distribution. Before joining Digital Catapult, Michele matured over 15 years of research and development in Wireless Sensor Networks and Internet of Things, both in Academia and SMEs. He was Senior Research Fellow at ICS, University of Surrey, leading a number of European Projects on Internet of Things, including SocIoTal and IoT-Lab, on which he worked on privacy issues in mobile phone sensing and crowdsensing area.